After spending two weeks with Global Healing in the Pediatric Intensive Care Unit (PICU) of Vietnam National Children’s Hospital (VNCH) in Hanoi, Cami returned to her job at UCSF with renewed appreciation for her calling. 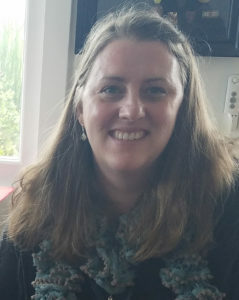 Volunteers like Cami are crucial to Global Healing’s mission to train physicians, nurses, and medical laboratory professionals in lower income countries to implement current best practices for improved patient care. 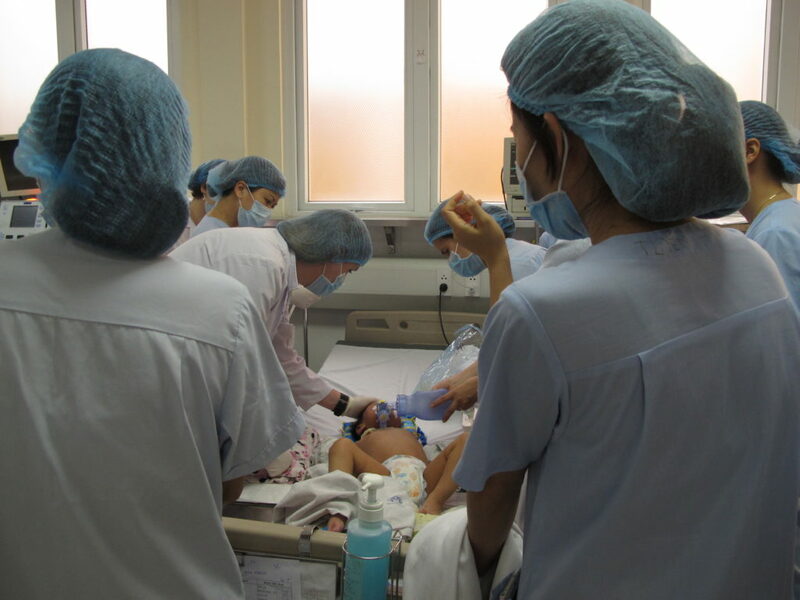 Cami (in pink) assists with PICU morning rounds at Vietnam National Children’s Hospital. In addition to supporting the VNCH in patient care, the Global Healing team held afternoon lectures, linking the topics to the treatment of patients they had seen during morning rounds. 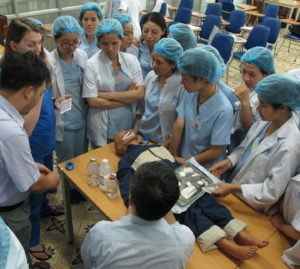 Cami (in dark blue) and the Global Healing team held afternoon lectures, linking the topics to the treatment of patients they had seen during morning rounds. By training VNCH staff on such best practices, Global Healing is helping to elevate the standard of care— not only for those patients there now, but for the long term.